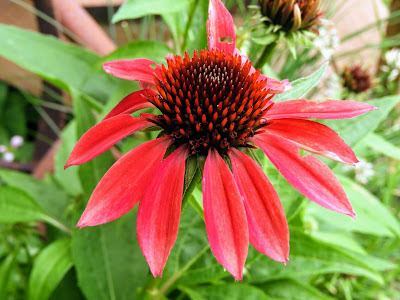 A new bloom on my sort of red coneflower. Planted it last year and now the plant has many buds ready to bloom. 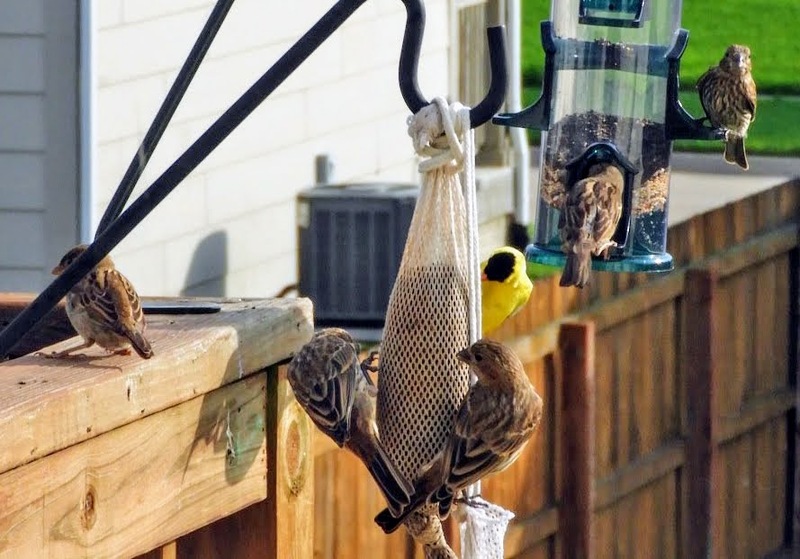 The feeders are a real hit right now as all the newly hatched birds are learning to find food. They seem to be flocking out there on the deck and eventually I may have to slow down the feeding to get them to go out into the wild and find food. 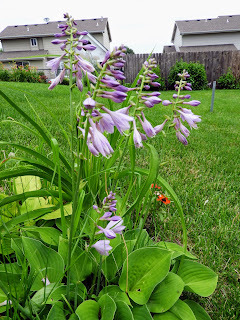 All of my hosta plants are going to bloom right now. For years I didn’t really pay much attention of the blooms but I do like how they put out spikes of flowers. 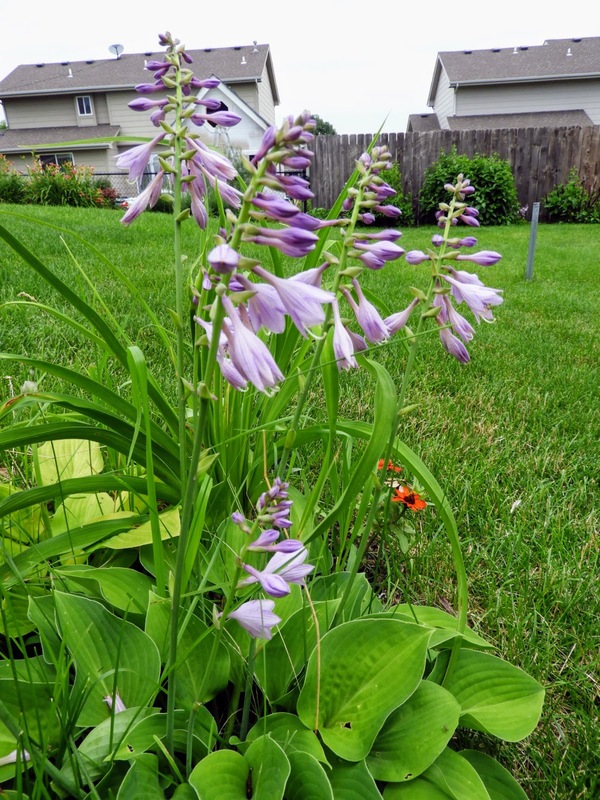 The flowers on this hosta seem to be more like a lily with its single white flower. Most of the hosta in the front rock garden are growing well. On little one can’t seem to take off among all the rocks and the clay soil below it. Late afternoon yesterday the clouds from rains were still stalking us. 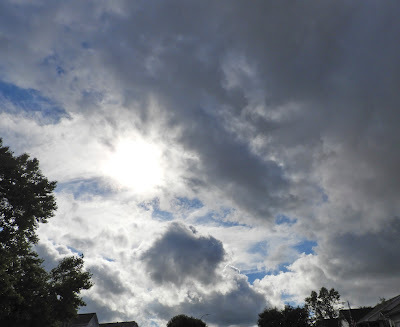 On Sunday we got an inch of rain and then Monday we got two inches of rain. Our rivers are on the brink of overflow with some roads in Des Moines being closed. I understand from the forecast of the future days we will move into 100 degree F. temperatures with extremely high humid. Friday is suppose to be a dangerous day for humans and animals. 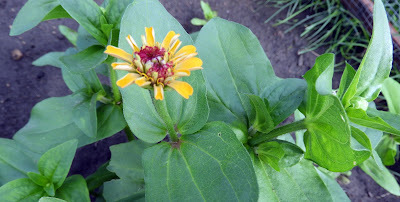 At one end of the row I have some larger zinnias. 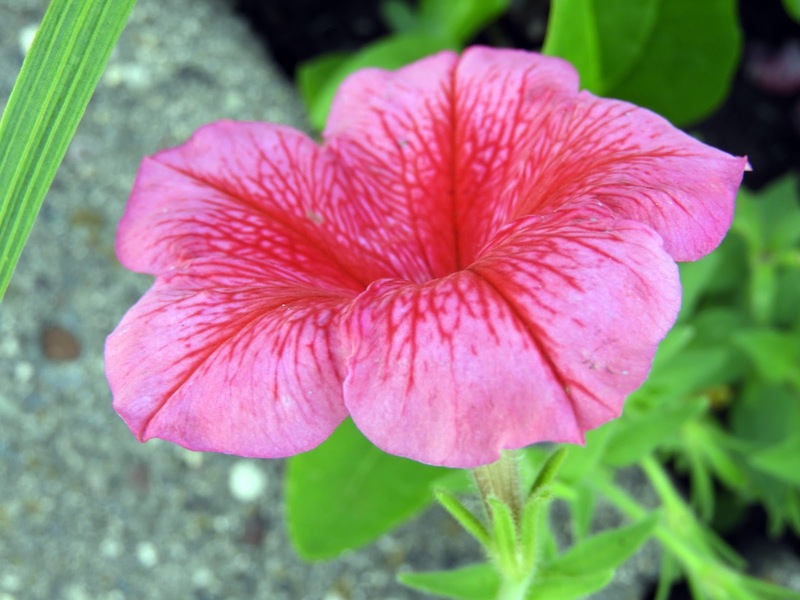 This one bloom is the first bloom for that patch. I have sprouts of new plants in there and all sizes that move up to almost mature plants. I am headed up to the old house again today. The further along I get with the work the closer I think I am getting done. Then yesterday I find myself moving backwards with me having to replace an area of drywall in the ceiling. I thought I was done with all of that and then something came up. All plumbing repairs are now done after my work yesterday. I had a kitchen sink drain that needed to be cleaned up. I also had a repair to the drain for the basement clothes washer to be reworked and ready for a new owner to be able to connect right away. Petunia power seems to be going on strong. Thanks for checking in on my blog today. Hey, it is Wednesday. 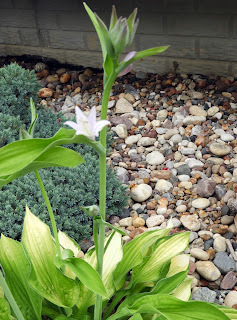 I love the coneflower and hosta blooms. We are having thunderstorms everyday.